Lip balm, and buttons, and pens, oh my! (Said to the tune of that Wizard of Oz chant we all love so much). 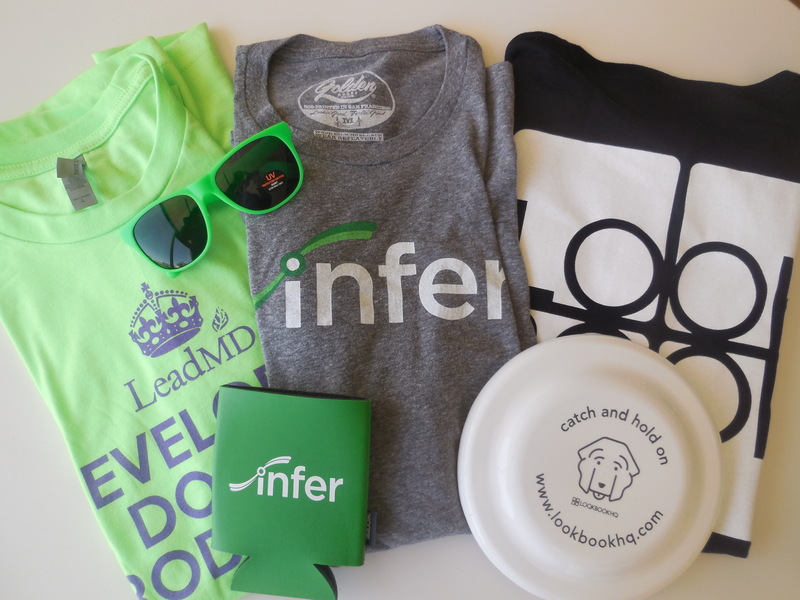 Each year, the swag comes out in full force at The Marketing Nation Summit, and 2015 was no exception. Without even stepping foot into the Expo Hall, I was readily equipped with a sleek one-shoulder backpack upon registration. Flashing the Marketo logo and “MKTGnation” hashtag, this bag set the tone for the event: Marketing First. And, yes, it was. As I journeyed into the Expo Hall, I was immediately consumed by the volume of event sponsors and what they brought to the table (literally, their tables were full of cool free stuff). 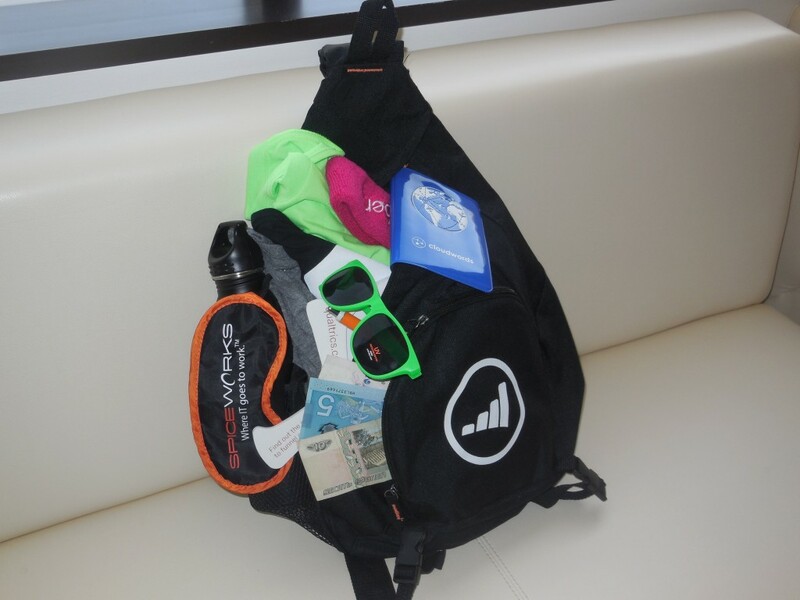 Whether practical and useful or simply enjoyable, company-branded swag in all forms served to make a lasting impression on Summit attendees. 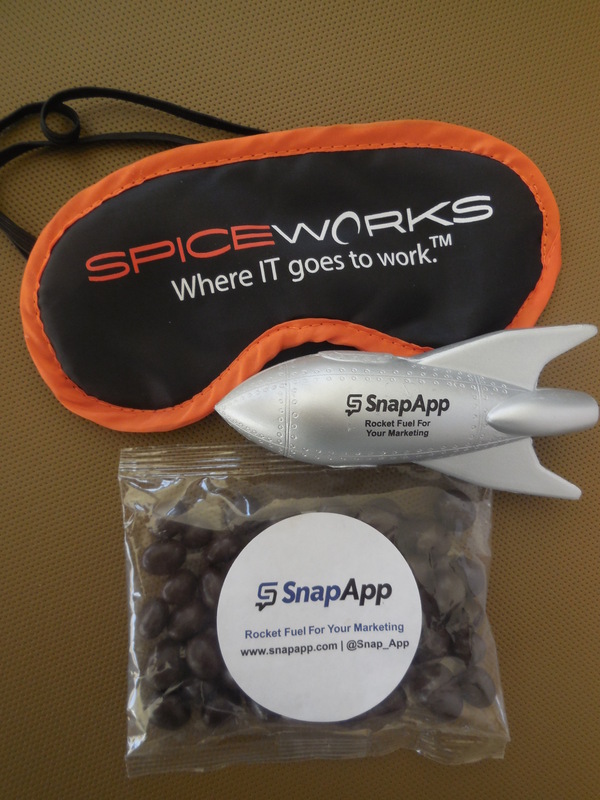 Spiceworks passed out orange-and-black (San Francisco Giants, anyone?) sleep masks which seamlessly complemented Arianna Huffington’s keynote address on Day 2 where we learned that caring for ourselves and taking a nap or two actually results in more progress and success in the workplace (contrary to popular belief). Following in this theme, SnapApp’s packs of chocolate treats and hand-held rocket-shaped stress relievers served the physical comfort needs of attendees whether they wanted to fuel up or wind down. Additional sustenance could be found at InsideView’s booth, where hot-from-the-oven chocolate chip cookies lured attendees from near and far. 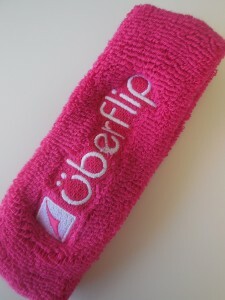 Another piece of swag was the attractive, hot pink sweat band sporting the Uberflip logo, which reminded those of us who participated in the early morning (aka still dark outside) Fun Run on Day 1, that even if our hair is messy and we’ve got that “just rolled out of bed” look written all over our face, our fashion doesn’t have to suffer, too. 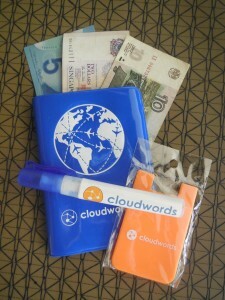 Cloudwords went the extra mile, handing out tubes of hand sanitizer (yes, please), silicone ID/credit card holders that affix to the back of cell phones (très clever), handy passport holders, and…wait for it…MONEY. (Well, it was foreign money—some of which I am not even sure works anymore—but nonetheless, it was money, and in very crisp, just-come-from-the-bank form, I might add). I did have to partake in a short quiz on world languages in order to get my hands on the cash, but I was pleasantly surprised to learn something new in the end, adding to the plethora of knowledge I picked up in every corner of the event. Logoed t-shirts from the likes of LeadMD, Infer, and LookBookHQ surely provided the most brand visibility. These sponsors also handed out 90s-style neon shades, beer koozies (glug), and Frisbees, respectively. 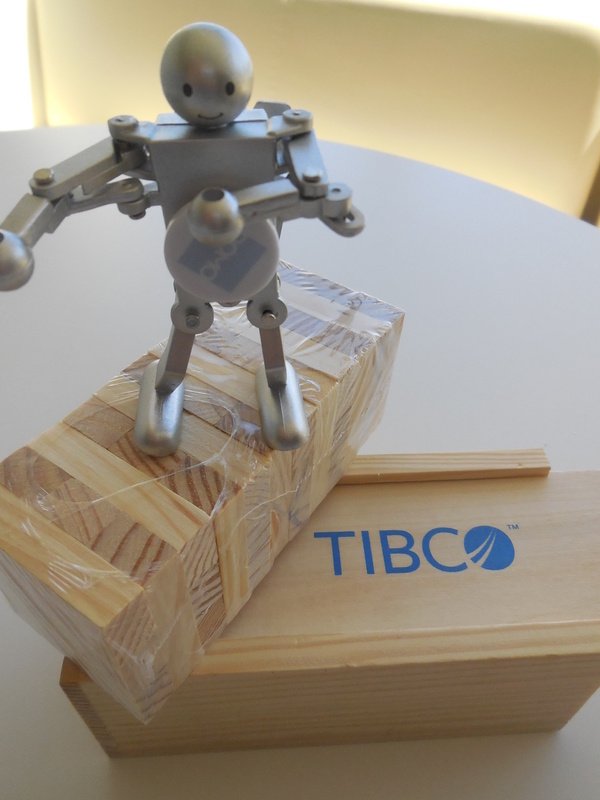 The awards for most unique giveaways are bestowed upon the Jenga puzzle set from TIBCO and the dancing (and smiling!) Domo robot. (Sadly, the robot has better moves than I do). After a solid afternoon of perusing the Expo Hall floor, I finally realized the purpose of that original backpack provided at registration: lugging all my sweet swag home safe & sound. 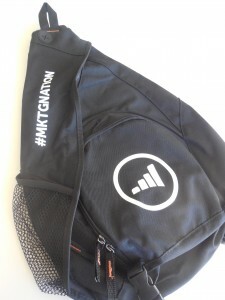 So, what was your favorite piece of swag from The Marketing Nation Summit? Let me know in the comments below. The post Surviving on Swag Alone at the Marketing Nation Summit appeared first on Marketo Marketing Blog – Best Practices and Thought Leadership.